The top ranked two players after all matches have been played will be declared 'Champion' and 'Runner-up' respectively. The lowest ranked two players will be eligible for relegation. Hi Guys! Just to let you know that Rosco, Chooselife, Halfling, Rich_The_Fish and myself all have experience with the new points system in this tournament, and it might be a good idea if you were to use us for your pre-season friendlies. Thanks again Steve for setting this up. 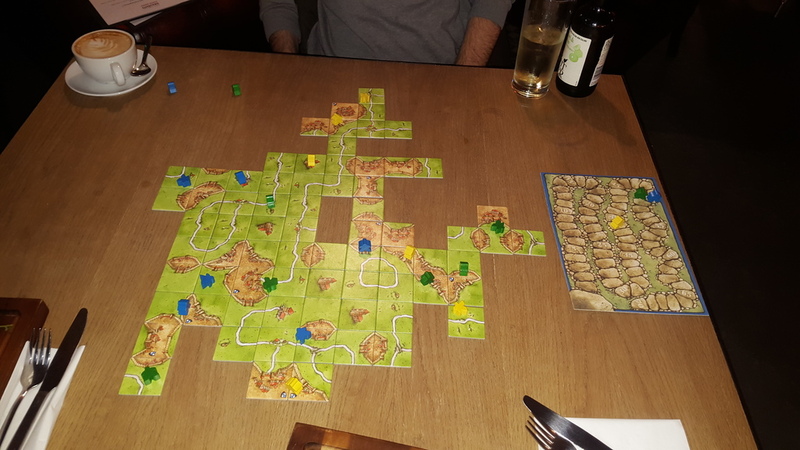 I'm keen to play some practice games, especially since I haven't actually played Carcassonne in ages. Actually I've only ever played Carcassonne three times and, amazingly, all three games resulted in victories over danisthirty - two practice games in 2014 and the Ark of the Covenant showdown. At the moment organising games is a bit difficult while I'm travelling (re: Internet access, timing etc). I'm three hours behind UK time right now, but by Friday it'll be back down to two hours, so maybe this weekend or next week it might be easier to arrange a game. Actually I've only ever played Carcassonne three times and, amazingly, all three games resulted in victories over danisthirty - two practice games in 2014 and the Ark of the Covenant showdown. 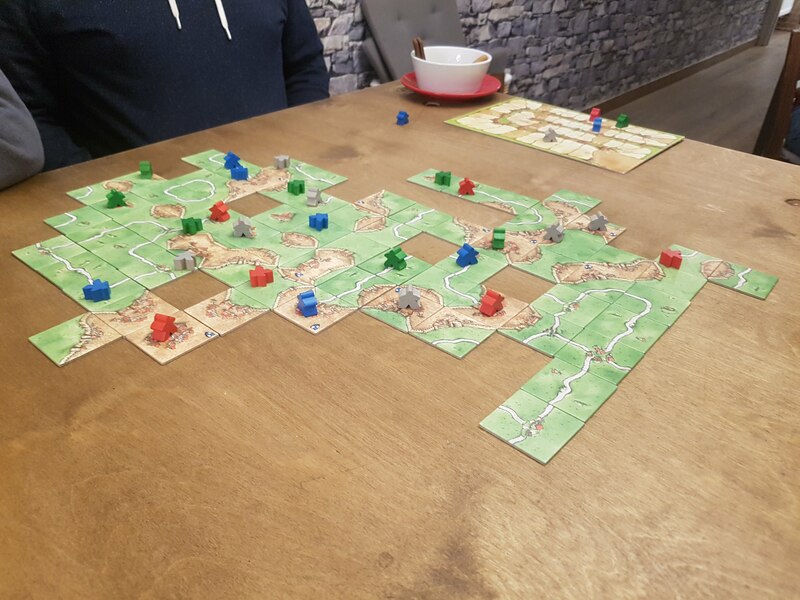 Next up was Carcassonne, I rarely get to play 4-player and it's nice to see such a busy board. I was late to the scoretrack, but it was a close game as you'll see. That one doesn't count as I was thrown off by the 70-point scoreboard. That was a good burger.... and at least you didn't need to wait 45minutes for a cookie to arrive at our table on a plate. Oi you lot!! Get on your own thread!! This is for League results!! I am up for a friendly game tonight or tomorrow night if anyone's keen. Sorry "jungleoy" (if that is your real name), but I only do unfriendly games. We've officially started and there haven't been any games yet despite the fact that we're all in the premiership and so should be being paid at least €100m per game. So... we're visiting the Harry Potter studios this afternoon, but Wednesday, Thursday or Friday are looking good for a game at this end if anyone else is free then? Let's get the premiership underway! Dan, your sponsorship from the Trump University was supposed to be a closely guarded secret. I now have a long list of players asking why they are not being paid appearance money.